If you count The Thing’s collaborations with Joe McPhee, James Blood Ulmer, Ken Vandermark, Neneh Cherry, Barry Guy, Otomo Yoshihide, Jim O’Rourke, Thurston Moore and DKV Trio too, Again is their 20th album (including the compilation Now and Forever and the split album The Music of Norman Howard with School Days, another Gustafsson project). Literally speaking, The Thing have done it again. After 17 years in the same line-up (Mats Gustafsson on saxes, Ingebrigt Håker Flaten on acoustic and electric bass and Paal Nilssen-Love on drums) you might think that the band’s music has become predictable, that their mélange of free jazz, blues, rock and noise is actually a cul-de-sac because the musical options are exhausted. However, it isn’t. Though Again is the well-proved mixture of cover versions and original compositions, this time the focus is rather on jazz. The only cover, Decision in Paradise, is an old, rather conventional Frank Lowe piece. The Thing turn the tempo down considerably and a trumpet provided by Joe McPhee, the guest star on this track, transforms the falling lines of the original’s opening passage into painfully bruised sounds before Gustafsson strips the delicate melody to the bone (doing this, it reminds me of Gershwin’s “Summertime“). Bass, trumpet and saxophone dance around each other in slow motion and only after four minutes Nilssen-Love enters the game in order to give the piece more drive and tension. It’s the band’s typical way to take possession of a composition which is not their own. The center of the album is the 21-minute “Sur Face“, presenting the band at full throttle featuring Gustafsson at his most effective and juxtaposed with more aggressive playing from the rhythm section. 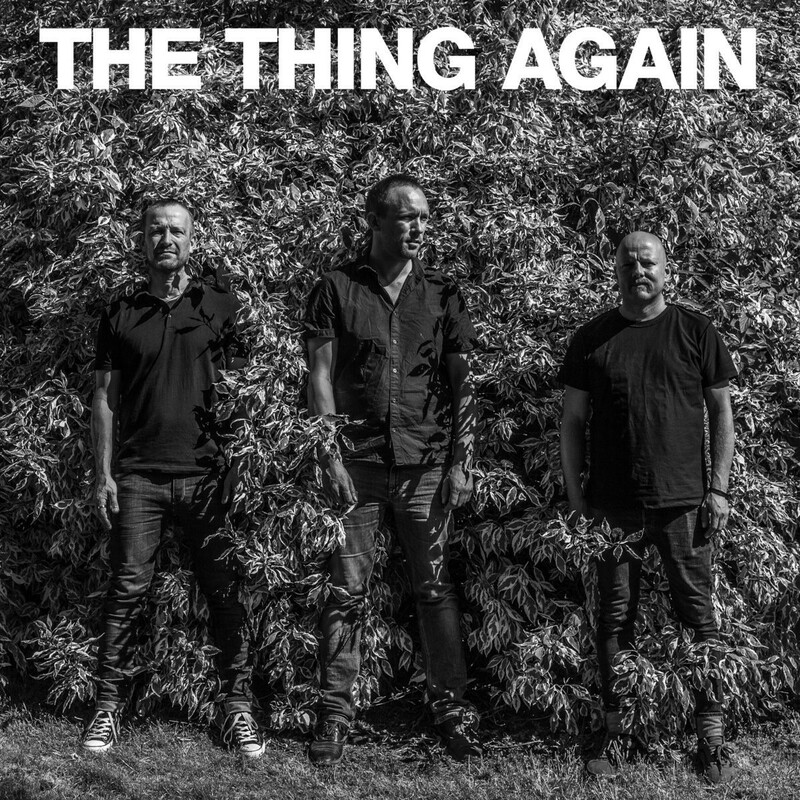 In a typical The Thing way they let this part implode and after a short solo from Håker Flaten, Gustafsson and Nilssen-Love paint a beautiful downtempo and introspective interlude. Gustafsson plays vibrato-drunk Ayler lines here, the way he’s sometimes done it on his solo recordings. For the rest of the track the group comes back together in their familiar rough style, bone-dry, taking no prisoners. Vicky Di rounds out the album, it’s the only composition that recalls the old, more rock-ish days at the beginning of their career. After a rather chaotic beginning, which is brutally ended at the 3:40 mark, the song is propelled by a monstrous distorted bass solo from Håker Flaten, which prepares the ground for a solid groove over which Gustafsson’s soprano soars with intense lines reminiscent of Coltrane and Brötzmann. 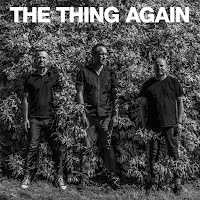 The Thing is still archetypal free jazz/rock of the 21st century - it’s a group you might recommend to someone who wants to explore a more adventurous genre, although they work for experienced listeners as well. I’m surprised how this band wins me over again …. and again. Again is available on vinyl, CD and as a download. You can buy and listen to the album here.